Our experience shows that a high-quality 3D rendering can be an excellent argument in discussing your products with your potential customers. It can greatly affect their buying decisions in favor of your company. 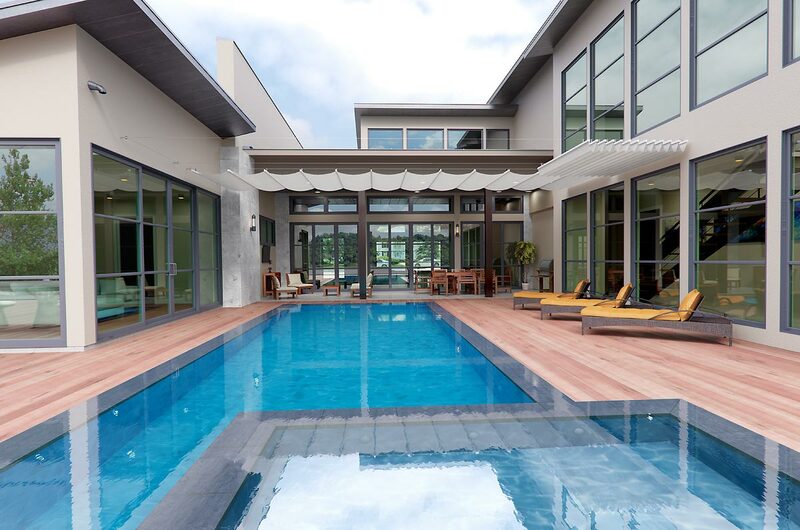 Here is a story about one of our clients, a manufacturer of pergola shades from New Zealand. He contacted us asking to visualize his product from the best possible perspectives. In this article, we will study how we worked on this job, and what its results were. 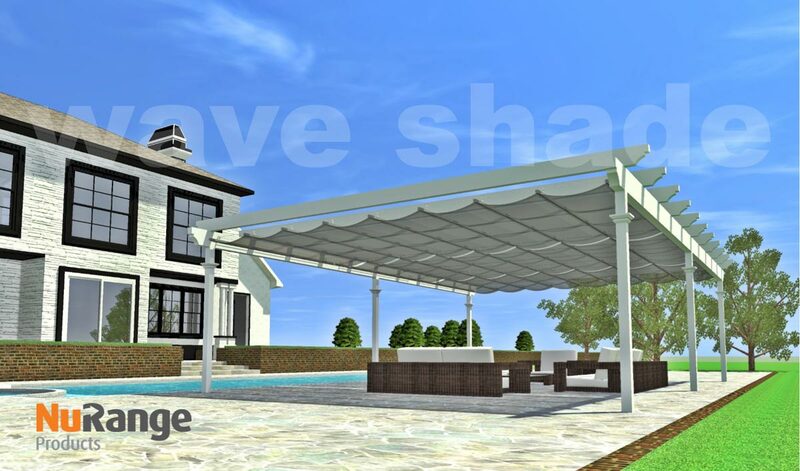 The client showed us his vision of how the shade should be presented in just one image. Of course, this was a very cheap 3D rendering, but it allowed us to understand the visual accents the client expected from us. We love certainty, so we decided to first identify the exact direction that we had to work in. 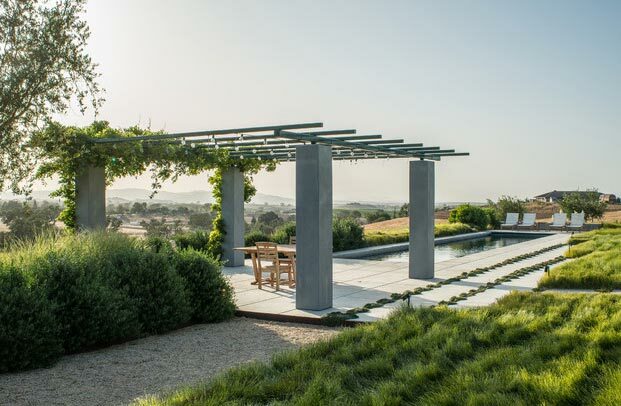 To do this, we found more than 40 pergola images in various environments: day and night; under the morning sun and in the sunset; in tiny gardens and arid landscapes. 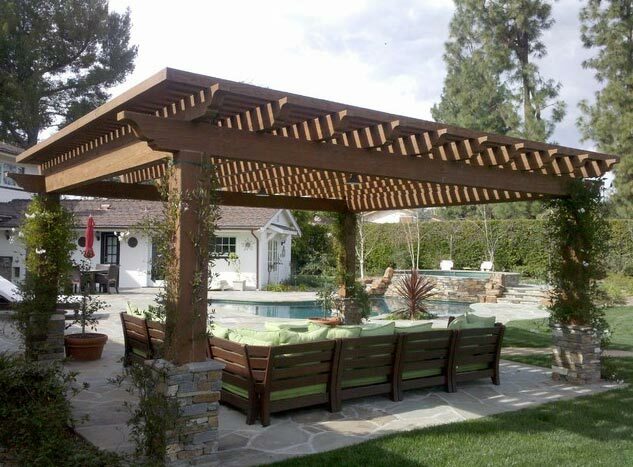 We needed this in order to determine the most favorable viewing angle, one that shows that such a shade would emphasize the pergola’s design and not mar it, as some potential buyers think. When the client saw the results, he was surprised in a pleasant way, because he thought that it was his task to elaborate on what he wanted. He ultimately picked four photos that matched his vision of how the product should be visualized. We created a separate 3D rendering based on each of the pictures. We paid attention to the lighting, ambiance, color palette, and all major characteristics of the original photos. In addition, we took into consideration the features of the client’s product, striving to combine all the factors in one 3D visualization. This is the first picture that our client liked. 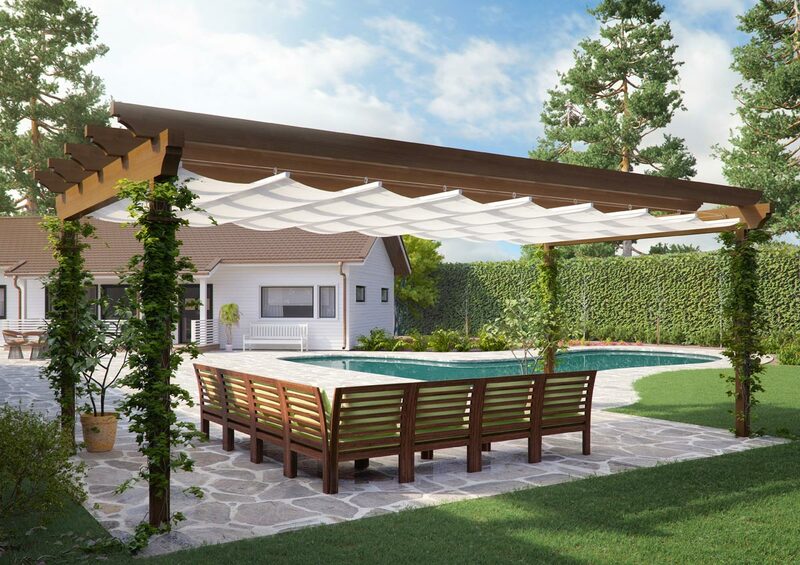 It conveys the atmosphere of a pleasant morning pastime in a pergola. You can enjoy the magnificent view and the fresh air, drink tea at the wooden table, and rejoice in the warm rays. Unfortunately, you would not be able to stay in such a pergola under the scorching midday sun. 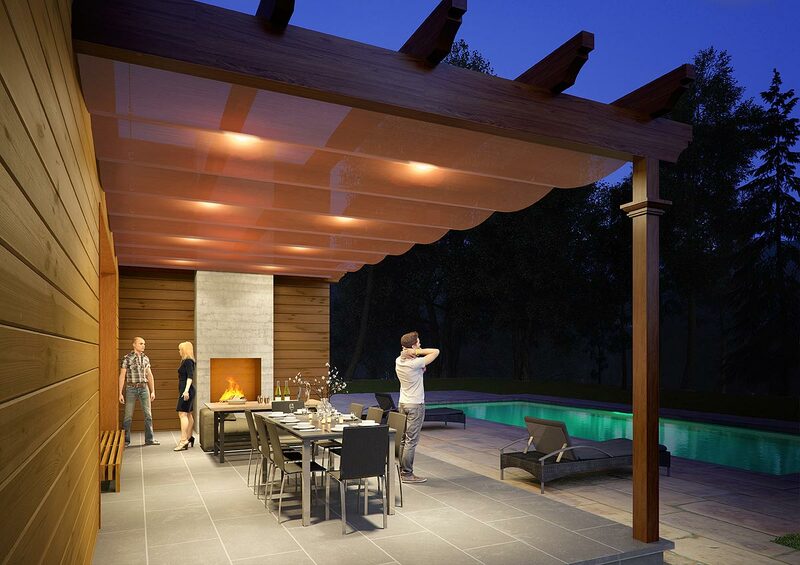 That’s when the presentation of the pergola shade begins (see the next image). It has a more holiday-home air to it, and the pergola here serves for prolonged pastime with friends, family, maybe business partners. Thus, making a good impression is twice as important here. Let’s take a look at the resulting 3D rendering. We re-created the fresh ambiance around the pergola by working on the greenery and trees and paying special attention to the twiners around the posts. Note that the shade does not take away from the overall attractiveness. 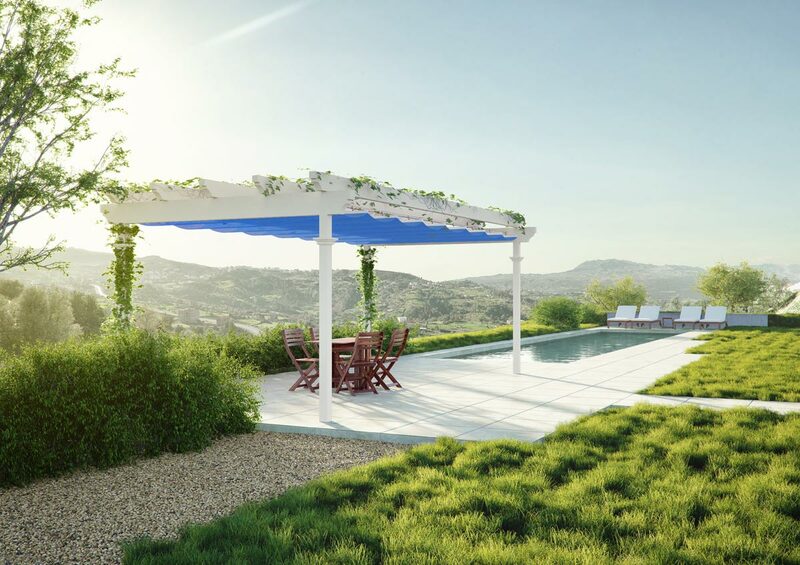 Its white color refreshes and even slightly brightens the location, convincing the viewer that spending time in this pergola would be a wonderful experience. The third picture is quite unlike the previous two. It depicts a party given by the welcoming hosts of the house. It would be such a shame if a sudden rain spoils an evening that was so carefully planned. And this is where the shade comes into play. Note how we took care to keep the people in the picture: They convey certain emotions — companionship, enjoyment, etc. — that we wanted to stay there. We paid special attention to the lighting nuances, the dancing flames of the fireplace, and the tree outlines, thus conveying the atmosphere, which is still there even after you add the shade. 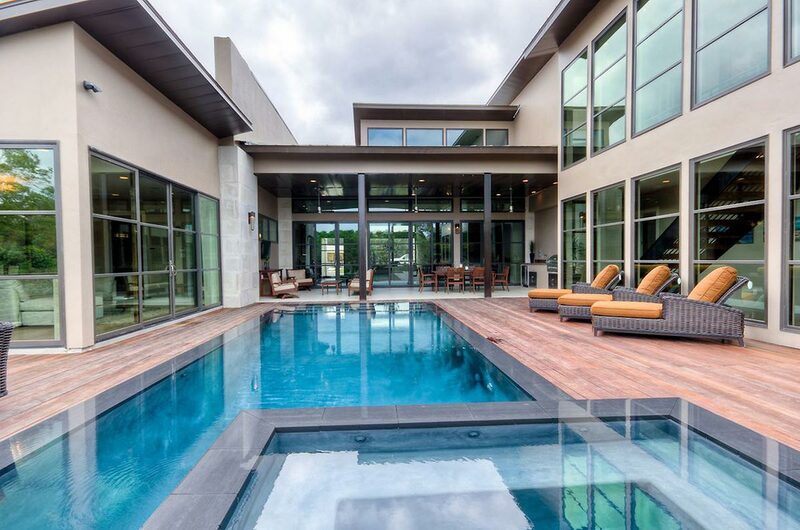 This convinces the potential buyer to become an actual buyer — of course, if he or she wants to give evening parties without depending on the unpredictable weather. And now the last, fourth picture. It is special in that it is targeted at companies, who need protection against sun and rain just as private customers do. 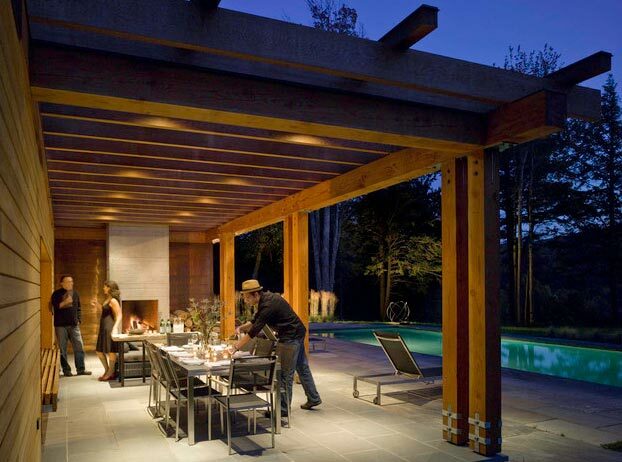 For example, if they have cozy outdoor couches and tables, installing a shade will be just the right thing to do. As you can see, we maintained the atmosphere of the original image, but added the shade that our client sells to show that it does help cope with the whims of the weather. Guests of such a venue can easily spend their time here and not care about getting too much sunshine or rain. Our client was amazed (in a good way!). He did not expect that our renderings would be so realistic (look at the first pair of images in this article to understand what he meant). Besides, the shades were presented from different perspectives, in different environments, and for different kinds of facilities. In other words, the visualizations showed the best sides of the product to virtually every possible buyer. As a result, the client had four images, each showing a certain advantage of his shades. As you can see, a high-quality 3D rendering not only delights the eye of our clients and their prospective customers, but also serves to a certain purpose. That is why, if you need to present a product and its benefits in a proper way, make sure to employ a professional and capable 3D visualization studio. Such 3D renderings keep working for your business for a long time.